Alvarez was established in 1965 by St. Louis Music. In the late 60’s the company began working with Master Luthier, Kazuo Yairi. This collaboration turned out to be a remarkable success and our Alvarez-Yairi guitars are still handmade in the Yairi factory today, in the small town of Kani, Japan. We are grateful that the result of our work has lead to our guitars being played by incredible musicians such as Joe Bonamassa, Bono, Johnny Cash, Crosby, Stills & Nash, Ani DiFranco, Jerry Garcia, Paul McCartney, Monte Montgomery, Carlos Santana, Bob Weir, Thom Yorke and so many more. And of course by the hundreds of thousands of amateur and professional musicians around the world. We thank you all. The wonderful thing about making acoustic guitars is that they are incredibly sensitive and complex instruments. Decades, careers, lifetimes have been spent trying to perfect or find the sound in the luthier’s head, but often it eludes us. Only time, experimentation and experience can help us get the results we are after. Alvarez-Yairi guitars have held a special place in players’ hearts for nearly fifty years. Some of the greatest songwriters and guitarists ever to grace the planet have played them. So when we came to updating the Alvarez-Yairi Series, we did it with great care and the reverence it deserves. Two years of development have resulted in us producing the finest guitars we have ever made. Eloquently voiced instruments, beautifully balanced with a charisma and tonal personality you will fall in love with. St. Louis Music/U.S. Band & Orchestra Supplies is one of the largest general distributors of musical instruments and accessories in North America. Founded in 1922 by Bernard Kornblum, the company started in the violin business by importing instruments from Europe to distribute in America. SLM is still very much in the violin business today and is the owner of Knilling® String Instruments, one of the America’s most prominent orchestral instrument brands. By the 1960’s SLM had grown to become a major musical instrument distributor, now run by Bernard’s son, Gene Kornblum. The company went from strength to strength and expanded to supply most types of musical instruments and accessories to music stores across the country. In the late 1960’s Gene met Kazuo Yairi, a Master Luthier in Japan who produced handmade concert classical guitars. Together, St. Louis Music and the Yairi factory started to design and develop steel string acoustic guitars and imported them into the States. The guitars took the brand name of SLM’s Spanish guitar line, which was of course “Alvarez”. Similar instruments were also sold under the factory brand of “K. Yairi” in Europe and other parts of the world. 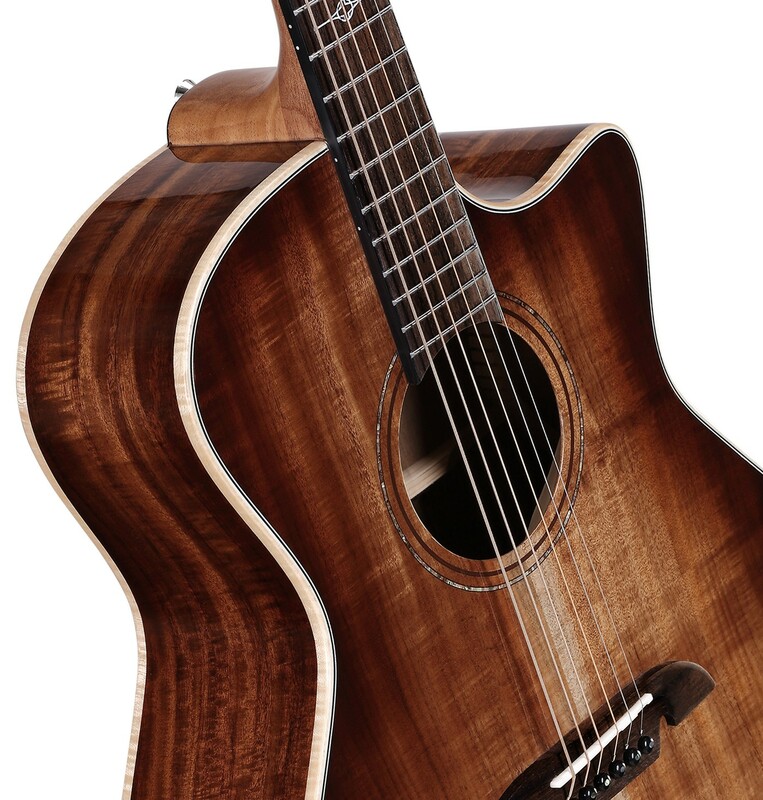 Over the following decades Alvarez and Alvarez-Yairi grew into one of the leading acoustic guitar brands in the USA and introduced many unique and innovative design features into acoustic guitar making. At the height of SLM’s success in 2005, the company was purchased by LOUD Technologies Inc. and Gene Kornblum retired. As a predominantly Audio and Amplifier company, LOUD Technologies decided to release SLM’s accessory business, Austin Guitars and Knilling Violins and these brands and divisions were purchased by St. Louis distributor, U.S. Band & Orchestra Supplies Inc. U.S. Band started trading under St. Louis Music in April 2009 and history continued. In 2011 Alvarez Guitars also came to back St. Louis Music who continue to manage Alvarez global sales and marketing, distribution and product development. Alvarez-Yairi guitars are still made in the Yairi factory today. We are grateful that the result of our work has lead to our guitars being played by amazing musicians such as Joe Bonamassa, Bono, Johnny Cash, Crosby, Stills & Nash, Ani DiFranco, Jerry Garcia, Paul McCartney, Monte Montgomery, Carlos Santana, Bob Weir, Thom Yorke and so many more. And of course by the hundreds of thousands of amateur and professional musicians around the world.